Kenneth Feder has collected a whooole bunch of examples of funny hoaxes and archaeological misadventure in this curiously good book. Read about the Cardiff Giant scam, the Piltdown man hoax, Noah's ark tomfoolery and fakery, the slippery slope of Creationist craziness, Atlantis Atrophy, the Shredded evidence for the Shroud of Turin, and more! Feder's volume is interesting, stimulating, and even if you are a well read skeptic, you will probably learn something new. I personally was reminded how easy it is to fool people who want to believe something and aren't moved to investigate or challenge the beliefs they are comfortable with. The gist of the book seems to be that people who rely mostly upon faith can end up believing just about anything, while those who are inclined to question and test new information via logic, scientific methods, and common sense are more likely to actually uncover the facts for themselves, doing away with faith altogether. This is an outstanding book written as a result of the author's own reading in the paranormal genre. Kenneth Feder points out how believable he found "The Morning of the Magicians" until it wandered into his own field of expertise: archeology. After comparing notes with chemists, physicists, historians, etc. he found the same response-- that such books seem perfectly logical--at least in areas in which one has no knowledge. All the big name hoaxes are here: the Cardiff Giant, Piltdown Man, the Shroud of Turin; but presented in a way that's fresh for the initiated and straight forward for the budding archeologist; and since he's writing as an archeologist, Feder never lapses into the bitter sarcasm so common to skeptical writers. There are surprises: who knew one of the largest pyramids in the world was in St. Louis, or that the Shroud of Turin was declared a fake in 1359? Above all Feder's love of archeology and sincere delight in the real mysteries of the past should make this book required reading for anyone interested in human history. Will the "real" pseudoscientists please stand up? 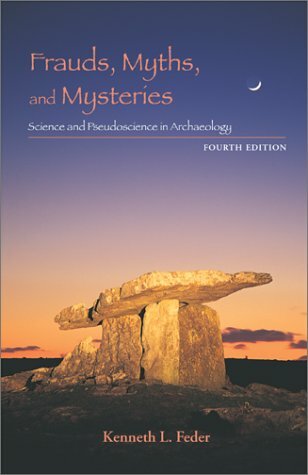 Kenneth Feder, apparently a self-proclaimed authority on everything archaeological and areas that are around the fringe, continues his startling pseudoscientific blunders in the new edition of this book. In line with the now-disproven "Clovis-First" doctrine that dominated American archaeologists, Feder has long asserted that all Native Americans came from Asia. Of course, both the "Clovis-First" and Asian origin have been shown to be false beliefs maintained by a purported "science" apparently functioning more like a religion than a science. His book, like Stephen Williams' equally-flawed competitor book, is a fun read, partially because it reads like an absolute authority pointing out how stupid those are who disagree. 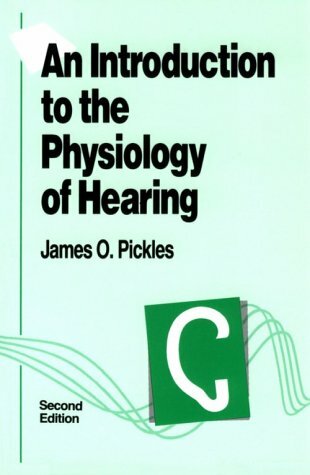 The fundamental blunders in the book, crossing into the realm of what medical practitioners and juries would call "malpractice," are best pointed out by his references to the psychic Edgar Cayce. Feder makes several references to Cayce including the assertion that Cayce had "Atlantean texts" that enabled him to "predict the future and effect cures on terminally ill people." Feder lists two references with this assertion giving it an air of authority. In 2001 I asked Feder to check out where these references made that asertion. After a brief time, Feder replied that he "had no idea" whatsoever where these claims were made and couldn't tell me where the idea originated. In brief, Edgar Cayce never claimed to have Atlantean texts and never claimed that he could cure the terminally ill. Like Stephen Williams, Feder blindly quotes from previous skeptics (gullible pseudoscientists blindly following pseudoauthority) without actually verifying facts. Like Williams, Feder makes an inexcusable blunder-either purposefully or from the skeptic's gullibility. That inexcusable blunder is this: Feder believes that Edgar Evans Cayce, author of several books on Atlantis, is Edgar Cayce the psychic. Edgar Evans Cayce was Edgar Cayce's son. Edgar Cayce, the psychic, never wrote books. But Feder asserts that the psychic Edgar Cayce saw "his paranormal abilities fail him terribly" when "Cayce obtained information from another plane of reality informing him" that Piltdown man (Eoanthropus) was from Atlantis. Feder concludes that "Apparently, Cayce's other-worldly sources were not aware that the whole thing had been a fake." The facts about this are simple: Edgar Cayce the psychic never mentioned Piltdown man or Eoanthropus. But in one of (Cayce's son) Edgar Evans Cayce's books he mentioned them. Apparently, Feder's skeptical sources never mentioned to him that they actually couldn't tell the difference between Cayce the psychic and his son. And apparently, actual facts aren't important in Feder's book. What is important is the agenda and religious doctrine being pushed down gullible archaeology students' throats by self-proclaimed authorities. It is likely that in the future psuedoscientific editions of both Feder's and William's books, they will continue the deceptions. In the very first pages of his substandard work, Mr. Feder tells us how he became interested in archaeological hoaxes. He says that he was reading a book called 'Morning of the Magicians' which unveiled evidence of the paranormal using shoddy science, bad fact-finding, and outright lies. Unfortunately, Mr. Feder is guilty of the same sins he denounces in chapter one. Admittedly, the content of the first several chapters on revealed hoaxes is interesting and educational, and his sound debunking of psychic archaeology is an excellent example of how skepticism can help us all live a better life free from toll-free 800 hucksters. Unfortunately, this same skepticism dismisses any of the more interesting and plausible theories about how ancient life was lived and apparently gives him license to make false claims about false claims. In addition to his outright fictions, Mr. Feder plays amateur psychologist when he ascribes motive to the frauds of yesteryear (nationalism or money). Amusingly, he also talks about why today's frauds are as popular as they are. About halfway through the book you suddenly realize that Mr. Feder feels bad that he's white, since he says that most of these myths are the result of racial supremacy. I certainly hope Mr. Feder gets over his whiteness soon, otherwise we may have to tolerate 5/e of this book written entirely in Ebonics. I am a bit reluctant to point out one of the fictions that I found, as they will undoubtedly allow others to accuse me of being too religious in my motivations for a lukewarm review. However, one of the errors I found relates to the Book of Mormon. Mr. Feder states that this book says that the Moundbuilders were from Israel. The Moundbuilders post-date the alleged timeframe of the Book of Mormon by some 1000 years, so it would be very difficult for it to discuss these individuals. Further, a search of this book reveals no mentions of mounds or Moundbuilders at all. (I will admit there are a few Mormons that think this is the case, but it's certianly not directly mentioned in the book, as Feder represents it). If he can't be careful enough to check this fact during the past four runs of his book, I'll have to use his own skeptical logic to conclude that he's either a bad researcher or a liar, neither of which is a comforting option when the book purports to tell the truth. A superlative journey to the edges of reason and beyond with a witty and knowledgable guide. As the claims of self-styled "alternative" historians of the ancient past gain more and more publicity, it is excellent to encounter such a balanced and well-reasoned antidote to their poison. Particularly useful is to realize that the supposedly "new" theories of the likes of Graham Hancock(who is not addressed in the book, unfortunately) are, in reality, little more than recycled flim-flam from earlier speculative and paranormal movements. One previous reviewer brands the book "too sceptical," which is nonsense. Feder actually subscribes to the Theran theory for the origins of the Atlantis myth (which I personally do not), but the investigative process by which he reaches this conclusion is clearly charted in the text. He is no dogmatist, dismissing ideas out of hand. He carefully presents the cases for and against various claims and exposes flaws based on a comparison with the observable evidence and archaeological procedure. In any case, it is also hard to see how one could be "too sceptical" about claims that aliens built the pyramids. The main thrust of Deetz's argument in this book points to the incomplete nature of the traditional historian's approach to understanding past societies. By focusing only on written documentation, traditional historians necessarily confine the groups they can examine to literate societies, thereby excluding most people in the history of human existence. Furthermore, written documents contain the bias of the author, and so cannot always be trusted. Deetz argues that historical archaeology and the study of material culture opens the door to understanding a far wider band of human societies, and can further help us relate to the literate cultures we study, by providing corroborating evidence, in some cases, and filling in the gaps overlooked in traditional written documents in other cases. 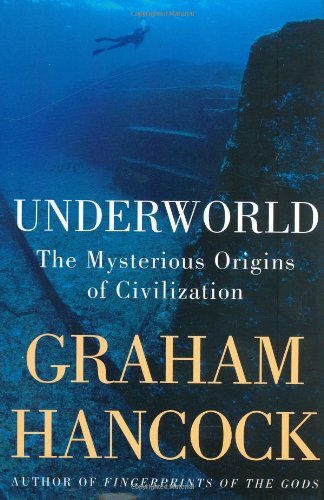 From Graham Hancock, bestselling author of Fingerprints of the Gods, comes a mesmerizing book that takes us on a captivating underwater voyage to find the ruins of a lost civilization that’s been hidden for thousands of years beneath the world’s oceans. Guided by cutting-edge science and the latest archaeological scholarship, Hancock begins his mission to discover the truth about these myths and examines the mystery at the end of the last Ice Age. As the glaciers melted between 17,000 and 7,000 years ago, sea levels rose and more than 15 million square miles of habitable land were submerged underwater, resulting in a radical change to the Earth’s shape and the conditions in which people could live. Using the latest computer techniques to map the world’s changing coastlines, Hancock finds astonishing correspondences with the ancient flood myths. Graham Hancock has been producing various books speculating that an ancient and previously unknown civilization existed in the Paleolithic era for about ten years now. Periodically he changes the proposed location of the civilization, originally thought to be Antarctica in Fingerprints of the Gods and now under the sea in Underworld. Regardless of where Hancock thinks this civilization was to be found, he tells an entertaining story with much that bears thinking about. All of Hancock's books are part history, part travel guide. One of the more enjoyable aspects of Underworld are all the stories about his various travels and travails as he examines different areas of the world for evidence of ancient cities and buildings. He is always eager and excited to find out more, and lets nothing, not even the ubiquitousness of bureaucracy ( his stories of the red tape involved in getting permission to dive in places like the Persian Gulf are worthy of the old Yes Minister show ) get him down. Besides the travel stories, Hancock is worth reading because he has come up with an amazing amount of material which at least brings into question the accepted theories about the human past. I hope that his journalistic, rather than academic, credentials will not lead many to dismiss his theories, because they do deserve more study. Author and explorer Graham Hancock continues his pursuit of uncovering clues to the past, this time under the sea. Underworld is the narrative of a journey through the Mediterranean, the Arabian Sea, Persian Gulf, Bay of Bengal and the Pacific Ocean around Indonesia, Japan and Taiwan in which underwater structures of possible human origin are explored. The government of India has recently authenticated two of Hancock's discoveries off the coast of that country. In both cases, these structures are dated between 9000 and 11 000 years before the current era, which supports the theory of a great flood that submerged vast areas of land at that time. What I really like about Hancock is that he provides the orthodox view at the same time as his own theories. I cannot but agree with his statement, "There's something wrong with the underpinning of history." Hancock has indicated the most likely places for pre-flood civilizations with the help of Dr. Glen Milne of Durham University who is an expert on glaciation-induced changes in the sea level, and taking into account the plethora of flood-myths found amongst all cultures on all continents. Underworld is lavishly illustrated and well served by a thorough index and extensive bibliography. This gripping text will amply reward the reader who enjoyed Hancock's earlier titles like Keepers of Genesis and Fingerprints of the Gods. Hancock deserves credit for stimulating interest in history and archaeology. He was the writer that created interest in those little doors in the light shaft of the great pyramid that was recently in the news. Let's hope something will be revealed behind the second door! In the mean time, I thoroughly enjoy Hancock's speculations. While not as entertaining as "Fingerprints of the Gods", "Underworld" is both interesting and meticulous. You will certainly begin to question what you believe. More than that, you will definately learn something about culture and history. At the very least, reading anything by Hancock will provide you with endless factoids to amaze your friends. Archaeologists have been pushing back the date of humanity's first attempts at agriculture and the civilization that follows it. An inexplicable commonality is seen in agriculture emerging in distant places at nearly the same time. Self-confessed - sorry, self-adulatory - Graham Hancock thinks there's an answer for that chronological similarity. He contends agriculture, and civilization reach even further back in time than evidence found in places like Iran or Turkey suggests. He thinks the legends and mythologies of India, Malta and South America point to a multitude of "Atlantis-like" urbanised cultures that have disappeared from view - under water. "Underworld" is a collation of ancient legends, old maps, submerged evidence and innovative thinking that gives humanity much deeper roots than previously thought. Hancock dives into the world's offshore depths, trolls through a wealth of mythologies, views unusual and unexplained artefacts and comes up with a challenge to consensus archaeology. Was there a global sprinking of advanced civilizations at the end of the last Ice Age? Did the melting ice caps drown more than the various land bridges that connected the British Isles with Europe, Sri Lanka with India and Alaska with Siberia? If Hancock is correct, and he is not to be dismissed lightly, humanity achieved far greater social complexity during the glacial advances than just living in caves wrapped in bear skins. What appears to be a near simultaneous emergence of agriculture, he argues, is in reality what we see left over from much older societies. Hancock has made dives in many of the sites revealed by fishermen, archaeologists and others, recording finds on video and still camera and maps. The images are impressive, as are the numbers of potential sites. Utilising computer generated maps of the sea's rise after the Great Meltdown of the glaciers, he shows the logic of his thesis with compelling evidence. He's careful to note where the data seems firm as well as lacking. Where lacking, he urges more scientific attention to these places. Although he justifiably spends most of the account on locations in India, where in some places the sea has invaded over 700 kilometres since the last Last Glacial Maximum, his relation of Japanese sites makes the most compelling reading. There, some of the longest-lived legends indicate Japan's oldest settlers, the Jomon, preceded the West in the establishment of agriculture and settled communities. Where scholars once held these people were "simple hunter-gatherers", Hancock sees evidence of rice growing nearly twelve thousand years old. Temple styles found today are duplicated in undersea sites, in some places nearby as if the sea simply pushed the people and their culture inland. These people may have followed the "Black Current" across the Pacific to establish settlements along the western coast of South America. Graham Hancock got my undivided attention with "Fingerprints of the Gods". He has won my continued interest by writing and researching ancient and mysterious civilizations. The "new" location of his research is underwater, off shore in the Meditarranean, India, and Asia, i.e., Taiwan and Japan. He *does* includes some references to fascinating "finds" in the Caribbean, the Bahamas and a recent site discovered near Cuba. His writing style is most engaging and so is the subject matter. I enjoy his ability to include 1) solid scientific evidence to back up his theories, 2) diaries he kept while exploring underwater sites, 3) a photo journal of monuments and structures (whether natural or man-made is yet to be determined) by his wife, 4) descriptions of what he actually sees, 5) ancient maps of the "old world", and 6) "inundation" computerized maps (scietific but limited) of what the world would have been like *before* the flood which occured after the Ice Age. Graham Hancock does a phenomenal job of describing how he got started in this research and he does a superior investigative report supporting his main theory, that many civilizations/ancient cities were wiped out worldwide due to the floods that occurred approximately 11,000 years ago. He and his wife learned to dive just so they could view first hand, the objects of their theories and research. More then those of any other living photographer, Sebasti&atilde;o Salgado's images of the world's poor stand in tribute to the human condition. Salgado defines his work as "militant photography" dedicated to "the best comprehension of man"; over the decades he has bestowed great dignity on the most isolated and neglected among us-- from famine-stricken refugees in the Sahel to the indigenous peoples of South America. This book is an astonishing document on both the talents of Sebastiao Salgado and the roughness of some of the worst professions in the world. The book was several years in the making and it shows. A lot of credit goes to Aperture for such a quality print. Your first impression will be of astonishment as you browse through the pictures of one of the top photographers of this century. Then, you'll want to read the small booklet that explains what each picture is. One day I hope someone will print a teaching book of photography with as good pictures as these, but with all the detailed information of how the picture was taken (film, camera, lens, exposure, # of photos discarded, date, time of day & latitude, time spent to take the picture, etc). If there's anything to critize in this book is that no technical information is given at all. But that was the point of it. It is an art book, not a didactic one. At first glance this book is very intimidating by size. 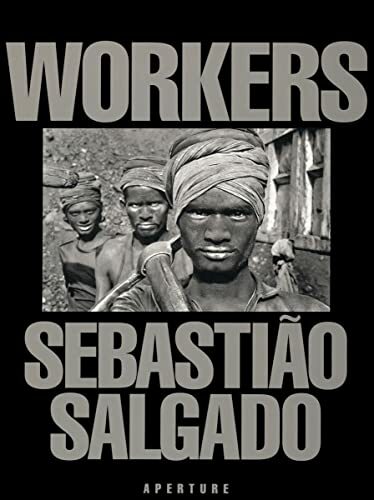 I was overwhelmed by the amount of photos Salgado took of his subjects, which in this book were the workers around the world. As I flipped through each page I began to think of rather than looking at a book of a photographer's work, it seemed as if I was looking at a photo album dedicated to hard laborers. Each photo is extremely vivid and beautifully shot. In addition, each photo gives the impression that Salgado puts thought and emotion before shooting his subjects. This is apparent by the many angles he shot his subjects and more importantly the extreme close-up shots he had. In many of his pictures Salgado appears to capture not just the action of the subject, but the emotion and story as well. You can't help but sympathize for each worker. Furthermore you start to realize how much the world depends on this type of labor in order to move forward. In a sense, this entire book give a view into all the hard work it takes to create all the luxuries we take granted for. The entire book itself is very high quality. Each picture is printed clearly and at a large scale to show each detail of Salgado's work. It's also neatly organized rather than photos jumbled everywhere. Photos are separated by the location where they are shot. Moreover, aside from the large scale photos in this book which take an entire spread, there are some fold-out pages that contain smaller photos which give it that "photo album" feel. This book is evidence of how great of a photographer Sebastiao Salgado is. These are some of the most powerful photographs ever made. They are at once disturbing, thought provoking and astonishingly beautiful. Salgado is a genius of the medium. He is one of the very few who has managed to elevate photography to a genuine art form. By comparison, the work of most other contemporary photographers seems like paint-by-numbers dreck. Skin covered with goosebumps, I slowly turned each page of Workers while my lower lip trembled. I couldn't believe the power that those images had. Human Osteology, Second Edition is designed for students and professionals who wish to advance their osteological skills in terms of accurately identifying human skeletal remains, however isolated and fragmentary. These remains can then be used to deduce information about the original lives of the deceased individuals. This book will continue to be an essential text for courses on the human skeleton, as well as a basic reference and field manual for professional osteologists and anatomists, forensic scientists, paleontologists, and archaeologists. 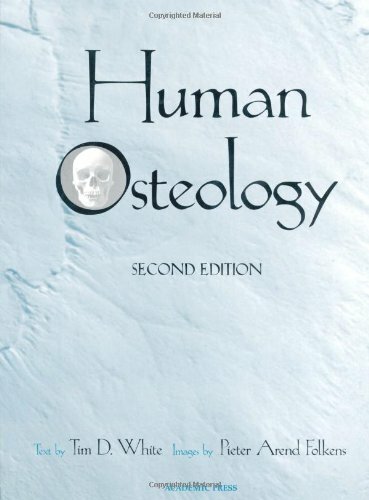 Human Osteology, Second Edition includes nearly a decade of advances in osteological research since the first edition. Each chapter has been strengthened and updated, including a new chapter on molecular osteology and four new case studies drawn from more recent research. This edition also includes a valuable guide to electronic resources in osteology. In order to temper the unrestrained exuberance of the former reviews, I think it is appropriate to point out what I believe are a couple of major shortcomings of this book. Yes the photography is very good. However, the paper it is printed on is not so good. Don't try underlining any of the text with a pen or pencil; the line will be transferred to the following page. The thin paper combined with the ink on the opposite side forms a tracing paper when you mark on the page. For a price that completely wrecks a hundred dollar bill, I think the customer deserves more. Mr. White is surely wagging his vestigial tail all the way to the bank. Most importantly, the descriptive sections of the text are very brief, with many bone features ignored. The Running Press reprint of the 1901 edition of Gray's Anatomy has a much more thorough (and much much cheaper) text of bone anatomy, although many of its formerly great illustrations have been reduced to dark blots (evidently in an effort to make the text more legible). In White's book, I would have preferred that seemingly precious text space be used for description of anatomy rather than the author spinning his (and academia's) fairy tales of how fish turned into men. This book is an excellent source for information on learning the bones, how to side them, and many other interesting aspects of osteology. This is quite possibly the most useful book I have ever bought. "Human Osteology" is clear and complete. The photos and diagrams are clear and complete. The text is clear and complete. 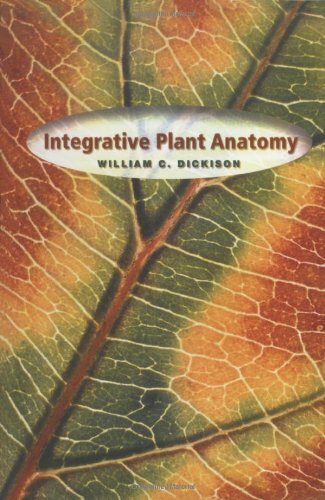 I have used this book in three separate classes and it has proved invaluable to me all three times. Two words: wonderfully illustrated. 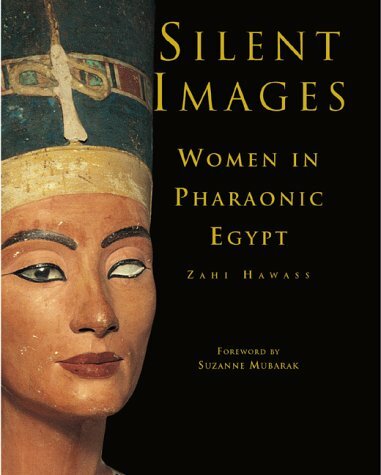 They could use this book for a class on lab photography. I chose this book over other optional texts available for a forensic anthropology class, and I believe it was by far the best at this level. Like others have said, if you need to know the small visual differences between two similar landmarks, this is the one. Also, don't sell it back once you're done. You'll be sorry. The discovery of the tomb of Tutankhamun- the most spectacular royal tomb ever found- is one of the most famous events in the history of archaeology.The treasures of this tomb surpass all others, and the fifty Tutankhamun artifacts featured in this book illustrate many uses of gold and other precious materials in ancient Egypt, giving us a glimpse into the extraordinary richness of this ancient civilization. 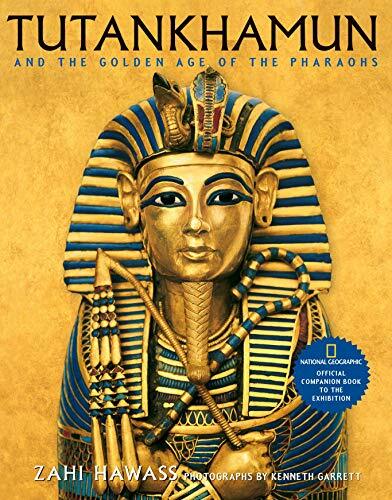 The book also includes never-before-seen images of the full-body forensic recreation of the boy king.How did Tut really look and what caused his untimely death?Cutting edge CT scan data provides tantalizing clues.In addition artifacts from the period preceding the reign of Tutankhamun will be featured, illuminating this fascinating era of Egyptian history and setting the stage for the treasures of Tut. These pieces will illustrate the history of the 18th dynasty, daily life under the golden pharaohs, and the journeys of both kings and commoners to the afterlife, and will include pieces dating to the reigns of four 18th dynasty pharaohs, the direct ancestors of Tutankhamun:Amenhotep II and Tuthmosis IVThese two great warrior kings ruled in the mid-18th Dynasty, and solidified the great Egyptian empire built by their predecessors.Although their tombs had both been robbed in antiquity, many fascinating pieces were left behind by the thieves.The tomb of Amenhotep II was reused just after the end of the New Kingdom as a cache for a group of royal mummies.Amenhotep III and AkhenatenA number of pieces come from the Theban area, where the great temple of Amun stood, the site of many great discoveries, and Amarna, where Akhenaten built a new capital city.Other artifacts come from one of the rare private tombs in the Valley of the Kings, the burial of Amenhotep III's parents-in-law, Yuya and Tjuya. Thousands of years before the pyramids were built in Egypt and the Trojan War was fought, a great civilization arose on the Anatolian plains. The Goddess and the Bull details the dramatic quest by archaeologists to unearth the buried secrets of human cultural evolution at this huge, spectacularly well-preserved 9,500-year-old village in Turkey. Here lie the origins of modern society -- the dawn of art, architecture, religion, family -- even the first tangible evidence of human self-awareness, the world's oldest mirrors. 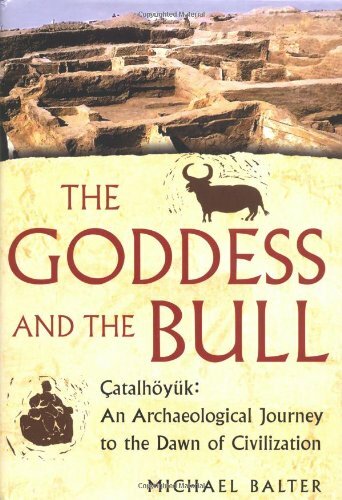 Some archaeologists have claimed that the Mother Goddess was first worshipped at Çatalhöyük, which is now a site of pilgrimage for Goddess worshippers from all over the world. The excavations here have yielded the seeds of the Neolithic Revolution, when prehistoric humans first abandoned the hunter-gatherer life they had known for millions of years, invented farming, and began living in houses and communities. Michael Balter, the excavation's official biographer, brings readers behind the scenes, providing the first inside look at the remarkable site and its history of scandal and thrilling scientific discovery. He tells the very human story of two colorful men: British archaeologist James Mellaart, who discovered Çatalhöyük in 1958 only to be banned from working at the site forever after a fabulous ancient treasure disappeared without a trace; and Ian Hodder, a pathbreaking archaeological rebel who reinvented the way archaeology is practiced and reopened the excavation after it had lain dormant for three decades. Today Hodder leads an international team of more than one hundred archaeologists who continue to probe the site's secrets. Balter reveals the true story behind modern archaeology -- the thrill of history-making scientific discovery as well as the crushing disappointments, the community and friendship, the love affairs, and the often bitter rivalries between warring camps of archaeologists. There are many gems in this book that will explain otherwise difficult biblical texts. The authors are interested in using the latest archaeological data to shed light on the Scriptures (see, for example, King's earlier commentary on Jeremiah). It will take time for all of the information in this book to make it into popular biblical commentaries (it is cutting edge information, as the authors themselves are active archaeologists). This book is a concentrated collection of journal quality insights written at a popular level. Before I bought this book, I heard one of the co-authors (Dr. Stager of Harvard) lecture on his contribution to the book. He is a master investigator of the ancient near eastern ideas of temple and garden. Stager brilliantly communicates how Israel's Temple and Garden Story relate to (and are informed by) their original contexts. Adjective fail me, I can only say that his work is staggering. I would be remiss if I did not make this plug: the pictures alone are worth the price of the book. The book is printed completely on photo quality paper with full color images throughout. 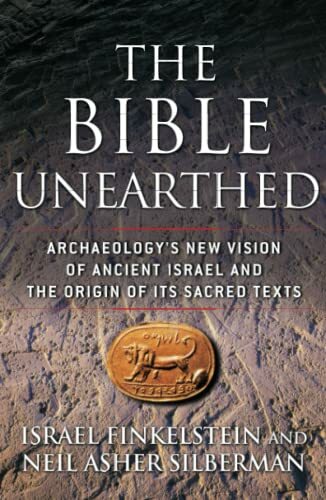 This book is a must have for any student of archaeology, the Bible or Israel. Though written for the layperson, this book is still an excellent resource for the scholar in Bible, ancient Near Eastern studies, or any study of culture. Life in Biblical Israel describes the setting of the Hebrew Bible, but not in terms of wars, leaders, and elite society. Professors King and Stager recognize, like Fernand Braudel and Annales historians, that a large part of society is often neglected by its own histories. Thus, they seek to describe how that silent majority lived their everyday lives. 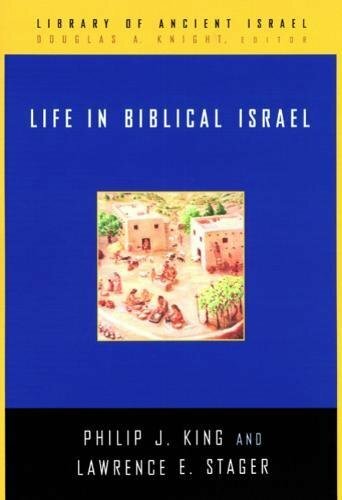 The authors of Life in Biblical Israel attempt to describe all of the aspects of the lifeways of the Israelites - how they produced their food, built their houses, procured water, defended their cities, organized their society, kept themselves healthy, expressed themselves through clothing, art, and music, and how they interacted with the divine. For those skeptical of the Bible's credibility, the book may seem to be a simple attempt to draw archaeological correlations, that is artifactual evidence, for Biblical terminology. Certainly, the book does this, but not out of any theological or apologetic attempt to prove the Bible as accurate. Accepting that the archaeological record and the Bible provide two types of descriptions of the same society, King and Stager gather all of the information they can from both sources. The many photographs and drawings in the book show many examples from the archaeological source. A quick glance at the Scriptural Index at the back of the book shows how thoroughly the authors combed the Biblical text. At the same time, the authors use each source to supplement the defficiencies of the other. For example, artifacts can often be identified as to their uses, but they have no names in their native languages, and how they are used is often not known. King and Stager do an excellent job with the details of exactly how the ancient people accomplished what they did. There have been very few other attempts to so document ancient Israel as a cultural and social entity. Previous works using both the textual and archaeological evidence in concert mostly have focused on one aspect of the culture, usually something relevant to the upper classes or the political or military establishment. Others have subsumed their archaeological and biblical discussion beneath other arguments, in which case they have reduced the amount of evidence and increased the number of conclusions to be drawn. King and Stager, on the other hand, have written a book which deals primarily with the culture of all of Israel as expressed through its material and literary remains; they have no other axe to grind, and they present more data and fewer conclusions. Instead they are working first and foremost to describe as best they can how people lived in the Iron Age in Israel. This book will serve as an excellent textbook both in archaeology and Bible courses. It can also serve as a reference work both for the layperson and the scholar interested in either subject. Perhaps the best reason to use this book, however, is that it succeeds in its aim of portraying the details of ancient Israelite life. The many illustrations truly enable readers to visualize each aspect of the culture. Life in Biblical Israel, despite its conversational tone and appealing visual layout (it contains copious and remarkable photographs, many of them in color), rests on a simple premise: great ideas are as much an expression of a culture as the shape of the pots it uses for wine or the letters it uses for writing. This is the central tenet that undergirds the excellent new volume by L. E. Stager (Harvard) and P. J. King (Boston College). In the case of Biblical Israel, of course, the main artifact bequeathed by the Israelite culture to the modern era is the canon of the Hebrew Scriptures, or Old Testament. The idiom of the texts that comprise the canon, King and Stager argue, is as much rooted in the reality of Iron Age western Asia (1200-540 B.C.E.) as are habits of personal adornment (ingeniously illuminated by the authors) or domestic architecture. Biblical texts, therefore, at once express the culture of the Iron Age which archaeologists can reconstruct and are illuminated by that culture. For readers who recognize the productivity of this dialogue and seek the means to enhance it, they can do no better than acquire this book. Ancient interpreters, beginning with biblical authors themselves (who glossed alien terms of antiquity with ones familiar to their audience) and continuing with such seminal figures as Philo and Origen, wrestled with the language, customs, and manners described in the texts. Why? Because texts are not disembodied, even when long traditions of interpretation continuously make those texts meaningful in new contexts. Thus, for anyone who takes the texts seriously, engagement with them requires engagement with the realia of Biblical Israel, from calendars, to family structure, to the implements of war, and the names of pots (ill. 70a-b). These and many other topics are meticulously presented by King and Stager, with insights that go beyond recitation of the data available in standard reference works (including not a few interesting philological observations about the meaning of Hebrew words). This book, then, presents the highest caliber of scholarship in a package that is readable, enjoyable, and very important. It also demonstrates persuasively that the culture of ancient Israel in the Iron Age II-not in the Persian or Hellenistic periods-was the one in which the greater part of the Hebrew Scriptures was conceived and transmitted. What an excellent resource! Fantastic photos and text, and priced so that students can afford it. I will definitely use this in my own courses on Near Eastern archaeology. The city of Rome is the largest archeological site in the world. If your idea of a good Roman holiday is uncovering the archeological mysteries of the Roman Empire, then Oxford Archeological Guides: Rome is your ideal guidebook. It is the one part of Rome which continued to be quite densely inhabited after the C9 AD, becoming the center of the late medieval and Renaissance city, and is still densely inhabited today, an extraordinary blend of past and present even for Rome. The Stock Exchange occupies a Roman temple, the boiler-rooms of the offices of the Senate are set in the ruins of Roman thermal baths, a modern theatre nestles in the shell of a Roman theatre. Many of the streets are on the lines of ancient streets, and the walls of the buildings on either side of them are often balanced directly on top of Roman walls. Among this Oxford guide's special features are 200 site plans, maps, diagrams, and photographs; a cultural and historical overview; a chronological overview; and a glossary of essential terms. It uses star ratings to help you plan your days and divides Rome into 12 main areas: the Roman Forum, Upper Via Sacra, Palatine Hill, Imperial Forums, Campus Martius, Capitoline Hill, Circus Flaminius to Circus Maximus, Colosseum Valley and Esquiline Hill, Caelian Hill and the Via Appia, other sites, museums, and catacombs. The little known Oxford Archaeological Guides series provides information that you cannot find elsewhere. This guide was written by Amanda Claridge in 1998 and gives information about many of the archaeological sites of Rome. Sites are described in great detail with an emphasis on how the site might have looked in ancient times and changes occurring over centuries. Famous artifacts that were once part of these sites are described and their present locations are mentioned. You learn where in the baths of Caracalla the famous Farnese Hercules and Farnese Bull were located and you learn how they came to be in the archaeological museum at Naples. There are little known sites like the tomb of the Scipios as well as places as familiar as the Piazza Navona and the Colloseum. Obscure but fascinating information is given: the great brick reinforcing wedge on the southeast side of the Colloseum was built in 1807: I have not seen this information anywhere else. The oval Piazza Navona is built on the site of the Stadium of Domitian of 86 AD; the stores that line its periphery are built on top of the ancient seating. This book would not be suitable as the only guidebook to take with you on a trip, the information provided is far too specialized. I'd recommend taking along the Michelin Green guide or the Knopf guide for Rome as well. Some minor drawbacks: the drawings and maps are not as detailed as they could be and the few photographs that are provided are black and white and of poor quality. These complaints are not critical flaws; the book would still be invaluable even if it didn't contain a single illustration. This book delivers what the cover promises. It's a thorough guide to what the city of Rome still has of the physical remains of the original inhabitants, of the Etruscans, of the Roman Republic, and of the Roman Empire. If you're going to Rome and you care about those things, take the time to read this book before you go. If you read it after you come back, you'll just have to plan another visit. If you're not going to Rome, but care about Roman history, then Ms. Claridge will give you some concrete (and marble) facts to add to the titillating stories of the emperor's peccadilloes that you've heard from Hollywood and that fuddy-duddy Classics professor. I saw this book randomly in a bookstore before I had ever been to Rome, and decided to buy it. The diagrams and maps inside were interesting even to scan, and the description of the sites and their history gave me a better sense of what I wanted to see on my trip. When in Rome, I carried this book everywhere. In addition to the standard highlights -- detailed descriptions of each item on the Forum, the Upper Via Sacra, the Palatine, etc. 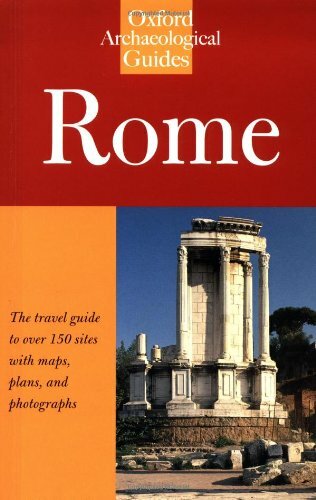 -- this book had coverage of the archeological sites that seem to be on random street corners throughout Rome. If I came across something that looked interesting, I could look it up on the maps, then find the text. Often, there would be a helpful diagram of the original site layout that allowed me to make sense of what stones were standing (and often there aren't many). The book also lists gems of archeological sites that I never would have planned to see had I not read parts of it before my trip. That said, this book has more detail than the casual tourist needs or wants. Much more. But if you want to spend several days delving around ancient Rome, then this book deserves your attention. Ms. Claridge's guide is well-organized, superbly illustrated, and bound to make it easier for first-time visitors (and even old hands) to find their way around Rome's ancient monuments and remains. I lived in Rome for several years, had previously taught its ancient history and language, still learned a few new things from this delightful little guide, and plan to recommend as "homework" for the next group of friends and relatives with whom I travel there. My sole negative criticism is that a bit more explanation of why the Romans placed their public buildings where they did (and tended to keep them there over the centuries, even through the shift from paganism to Christianity) would have made this book even more enlightening. That aside, a "bravissimi!" to Ms. Claridge and her collaborators. This book was amazing. We just got back from a week in Rome and used this book to help us orient ourselves through the sites. We took a tour with a guide who practically drooled over our copy, so we gave it to him in lieu of a tip. He loved it. Tainter's project here is to articulate his grand unifying theory to explain the strange and disturbing fact that every complex civilisation the world has ever seen has collapsed. Tainter first elegantly disposes of the usual theories of social decline (disappearance of natural resources, invasions of barbarians, etc). He then lays out his theory of decline: as societies become more complex, the costs of meeting new challenges increase, until there comes a point where extra resources devoted to meeting new challenges produce diminihsing and then negative returns. At this point, societies become less complex (they collapse into smaller societies). A simple hunter-gatherer society with limited agriculture (i.e. garden plots) is faced with a problem, such as a seasonal drop in food production (or an invasion from its neighbours who have the same problem and are coming over for food). The bottom line is, this society faces an energy shortage. This society could respond to the food crisis by either declining in numbers (die-off) or by increasing production. Most societies choose the latter. In order to increase production, this society will need to either expand territorially or increase agricultural production . In either case, this investment can pay off substantially in either increased access to food or increased food production. Herein, however, lies the rub. Since, as Tainter writes, the "number of challenges with which the Universe can confront a society is, for practical purposes, infinite," complex societies need to keep on increasing their level of complexity in order to survive new challenges. Tainter's thesis is that these "investments in aditional complexity" produce fewer and fewer returns with time. The hunter-gatheres of the above example incur costs as they try to solve their food-shortage problem. If they conquer their neighbours, they have to garrison those territories, thus raising the cost of government. If they start agriculture on a larger or more intense scale in their own territories, they have to create a new class of citizens to man the farms, distribute and store the grain, and guard it from animals and invaders. In either case, the increases in access to energy (food) are offset somewhat by the increased cost of social complexity. But, as the society gets MORE complex to confront newer challenges, the returns on these increases in complexity diminish. Eventually, the costs of maintaining garrisons (as the Romans found) is so high that both home and occupied populations revolt, and welcome the invaders with their simpler way of life and their lower taxes. Or, agricultural challenges (a massive drought, or degradation of soils) are so great that the society cannot muster the energy reserves to deal with them. 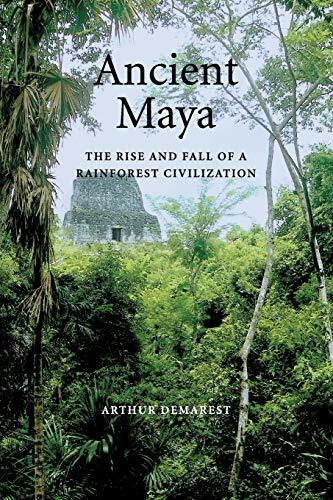 Tainter's book examines the Maya, Chacoan and Roman collapses in terms of his theory of diminishing marginal returns on investments in complexity. This is the fascinating part of the book; the disturbing sections are Chapter Four and the final chapter. In Chapter 4, Tainter musters a massive array of statistics that show that modern society has been facing diminishing returns on investments in complexity. There is a very simple reason for this: we solve the easiest problems first. Take oil, for example. In 1950, spending the energy equivalent of one barrel of oil in searching for more oil yielded 100 barrels in discovered oil. Now, the same investment yields 5. The per-dollar return on R&D investment has dropped for fifty years. In education, additional investments in programs, technology etc. no longer produce increases in outcomes. In short, industrial society is looking at steadily fewer returns on its investments in both non-human and human capital. When a new challenge comes, Tainter argues, society will eventually be unable to muster the necessary resources to deal with the crisis, and will revert-- in a painful and unhappy way-- to a much simpler way of life. 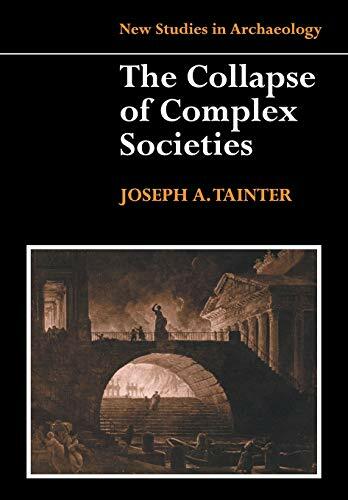 In his final chapter, Tainter describes the modern world's "arms race of complexity" and makes some uncomfortable suggestions about our own future. (...). In an age where, for example, the U.S. invasion of Iraq has yielded net negative returns on investment even for the invaders (where's that cheap oil? ), and where additional investments in education and health care in industrialised countries make no significant increases in outcomes, the historical focus of Tainter's work starts to become eerily prescient. The scary thing about this deeply thoughtful and thoroughly researched book is its contention that the future, for all our knowledge and technology, might be an awful lot like the past. Are Collapses Social or "Thing" events? While lots of authors look for a simplistic "single cause" of collapse (that another reviewer seems to have bought into!) Tainter's view is a lot more global. Single causes? Maybe...but they all have a common element: declining marginal return for additional effort. That's the underlying issue that sparked massive protest at the WTO meetings in Seattle. Folks are working harder and harder just to stay even. If Y2K'ers don't understand that our marginal rate of return has headed south, they're missing Tainter's point. Yourdon recommends Joseph Tainter's book, _The Collapse of Complex Societies_ (1988). From a Y2K perspective, after a quick skim, not sure it is worth reading unless you are really interested in detailed history and economics. This book does not attempt to describe the collapses or provide especially helpful info in our context, I think. "My goodness, were there that many vases?" I remember Secretary Rumsfeld getting a laugh when he tried putting the looting of Baghdad in proper perspective. "The images you are seeing on television you are seeing over, and over, and over," he said, "and it's the same picture of some person walking out of some building with a vase, and you see it twenty times, and you think, 'My goodness, were there that many vases? Is it possible that there were that many vases in the whole country?'" Well, this book shouts out from the audience, "Yup!" and in doing so, puts a new face on the war in Iraq, and tells a story as ironic and poignant as what we saw in the Iraqi soccer team at the Olympics last summer. Here the team is a group of experts -- a kind of dream team of Iraqis, Americans, Italians and Brits -- each taking a turn as an expert witness in the most talked about art heist in history. Unlike most of the reporting at the time, this book doesn't presume you already know your Ancient Near Eastern and Islamic history. Ralph Solecki takes us to the very beginning and recalls his prehistoric discoveries in Northern Iraq, where we have possibly the earliest known evidence of human compassion. Harriet Crawford's coverage of the dawn of civilization brings the dawning realization that ancient Mesopotamia is a lot closer to life today than we thought. Paul Collins presents an account of the amazing developments in Sumer, illustrated with some of the most beloved pieces from the Iraq Museum. All right, the Iraqis invented human emotion, agriculture, cities, empires -- what else? Robert Biggs adds writing and literature, using macro lens close-ups and a cuneiform comparison chart. And if you wonder why a quarter million people in America call themselves Assyrians, you'll certainly know after reading Julian Reade's chapter about these great achievers 2500 years ago. The East-meets-West story, starting with Alexander the Great, is vividly told by Elisabetta Fino. After seeing news photos of the mosque in Samarra vandalized, reading Alastair Northedge's piece on Islamic architecture was a form of grief counseling for me. Now as I watch daily footage of car bombings in Baghdad, I think of Vincenzo Strika's review of Baghdad through the ages, and put my hope in his last line: "Baghdad, for all its tumult and suffering, has the potential to become again, as it was in the Middle Ages, the cultural bridge between East and West." Other parts of the book use the museum building itself or specific artifacts as a point of departure: the essential "A Museum is Born" by Lamia Al-Gailani Werr and the exquisite "Small Treasures of the Iraq Museum" by Fiorella Strika. When I first opened the book, I skipped through it reading the double-page spreads here and there by Diana McDonald, and that made me want to read everything else. It was strong stuff for me to read kidnapping survivor Micah Garen's words on universal ideas - heroism, friendship, and our fear of death - drawing a comparison between the quest of Gilgamesh and the purpose of archaeology. Garen and his partner, Marie-Helene Carleton, remind us that we are all Gilgamesh, and archaeologists are our genius scribes. This elegant invitation to preserve our historical memory is echoed throughout the book, in most urgent terms by Selma Al-Radi, by Angela Schuster and Zainab Bahrani, by William and Milbry Polk, by Usam Ghaidan and Anna Paolini, and by the tireless Iraqi archaeologist, Donny George. All of these contributors are within two degrees of separation from everyone else in the cultural heritage community that reacted to the looting of the Iraq Museum. Although they are distinguished writers individually -- worthy of their own Listmania List -- this is a fine ensemble piece. Of course, the real stars of the book are the antiquities themselves, the figurines, bas reliefs, stelae and other vocabulary-building artifacts, along with, yes, the vases. The 190 color pictures on heavy paper make this a compact coffee-table book, but not too heavy to read in bed as well. University archaeology departments would be nuts not to make this required reading for new students. I can't think of a book that will more directly engage and motivate the newcomer, and possibly spark a thousand careers as luminous as those referenced in its pages. The book itself is an example of how people can work together across borders, across cultures and civilizations, clash or no clash. Many of these writers were first responders, rushing in to protect fragile human knowledge, and in the process modeling for the rest of us what we most need these days in Iraq: charity, hope and faith. 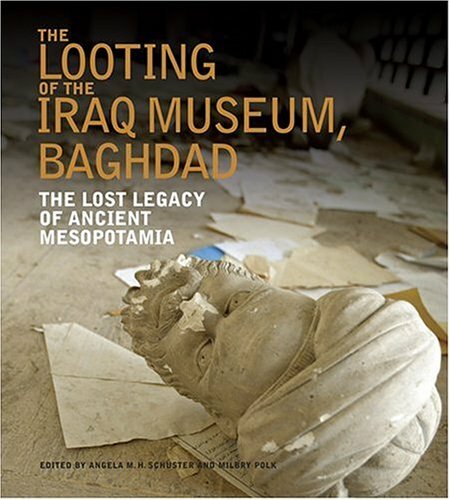 I found this to be an excellent volume that opens with the looting of the Iraq Museum at the beginning of the war and develops into an elegant and expert history of Mesopotamia spanning 60,000 years. Although the looting has been covered in newspapers and magazines, this is the only attempt to my knowledge to bring the topic to mainstream readers in book form. Archaeological sites throughout Iraq are still being looted daily, and a percentage of the royalties earned by this title will go to Iraq's State Board of Antiquities to help bring awareness and policing to the illicit trade in antiquities as well as help the Museum function again. The authors of each chapter comprise a formidable cadre of international archaeologists who have worked in Iraq sometimes for decades, and bring here the many voices needed to describe the long and fascinating history of Mesopotamia. The editors, Milbry Polk and Angela Schuster, really have done a fantastic job and have brought us a much needed book. Beautifully designed and expertly written, this is a must for lovers of history and those with an interest in the cultural background of Iraq. Highly recommended. I pre-ordered this book and waited about a month or two for it to arrive.I was deeply disappointed when it came.Unfortunately, this book is not what it promises. Very little of the book, perhaps a dozen or so pages (and this assessment is 'liberal') can actually be said to deal with the actual looting of the museum and there is little here that has not been fairly widely reported in the press. Its main value is arguably that the majority of the chapters (i.e. the overwhelming portion of the book) offer a fairly good introduction to the periods of the history of what is now geographicaally caled Iraq. That being said, there are many better introductions to the subject. 'Archaeology', which she is a Contributing Editor to, can at least be found at you some newsstands.This is the 'popular' publication of the American Institute of Archaeology, as opposed to their academic, peer-reviewed journal, called The American Jounal of Archaeology.I cannot comment on the rest of her bio. I'm currently a student and i'm taking an Introducion to Archaeology course because I've always been interested in learning a little bit about archaeology.This is the book that I have to use for my class and most ofthe time I dread having to read the books in any of my classes, but thisbook is an exception.Even if I wasn't taking the course in college, Iwould enjoy reading this book. 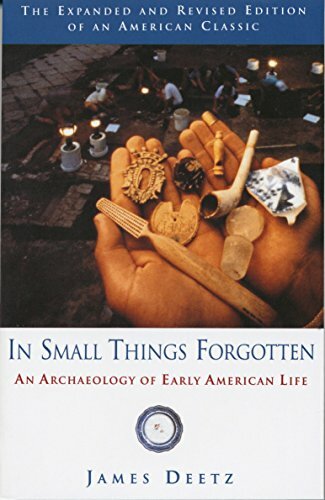 It gives you an overview of whatarchaeologists do for a living and tells of many excavations and otherarchaeological discoveries.Unlike most textbooks, it not only givesdefinitions and gives information about the subject, but it tells storiesthat will interest you and actually make you want to read the book for achange. In this iconoclastic and provocative work, leading scholars Israel Finkelstein and Neil Asher Silberman draw on recent archaeological research to present a dramatically revised portrait of ancient Israel and its neighbors. They argue that crucial evidence (or a telling lack of evidence) at digs in Israel, Egypt, Jordan, and Lebanon suggests that many of the most famous stories in the Bible -- the wanderings of the patriarchs, the Exodus from Egypt, Joshua's conquest of Canaan, and David and Solomon's vast empire -- reflect the world of the later authors rather than actual historical facts. During the past century, archaeology's tool kit gained immensely in size and quality. New, accurate, dating systems pinpoint events. Researchers study humble pollen, weather conditions, changes in household implements along with building construction plans and methods. Even the "dismal science" of economics contributes information on trade, surpluses, products exchanged and records. Documents, always problematic, are subject to intense criticism and comparison. Inevitably, this investigative array has turned to the eastern Mediterranean and the societies flourishing there in "biblical times". During the 19th and early 20th Centuries, scholars rooted in the desert sands seeking evidence that Biblical episodes indeed occurred. The authors turn that process on its head, accepting the occurrence of events but challenging their dating. Biblical dating, they argue, is generally contrived. What would be the reason for fabricating excess longevity to the founding of the Jewish people? According to the authors, it was an attempt by priest-scribes to formulate a theologically-based ideology. The purpose of this propaganda document was to justify a forced reunification of the "dual kingdoms" of Israel and Judah, long sundered, but still related. Instead of a history written over strung out centuries, Finkelstein and Silberman say the authors of the Torah flourished during the 7th Century BCE. Their intent was to galvanise the people of Judah to participate in the reconquest of Israel. As the biblical writers put it, David founded a glorious kingdom, further enhanced by Solomon. This empire was centred on the Temple in Jerusalem. A centralised dogma with adherence to a single deity [no matter how capricious] represented by a single building in a central city was the rallying point. The Torah, then, was little more than a manifesto for conquest and unification. Past failures and successful invasions by Egyptians, Assyrians and Persians were attributed to idolatry, intermarriage with foreign women and rejection of YHWH, the all-powerful desert god. Finkelstein and Silberman credit the biblical authors with manipulating, if not fabricating past events to build the case for Jewish unity. The book's authors bring every tool in archaeology's kit to bear in constructing their case. Each chapter opens with a "biblical account" of periods and events. The archaeological evidence is then presented for comparison. The Exodus, for example, a Jewish foundation stone of tradition and celebration, lacks all support. The Egyptians, meticulous record-keepers, say nothing of large Hebrew slave populations. Pharonic border guardians, ever alert to invasions from the east, apparently missed half a million people crossing the other way. The great infrastructure projects attributed to Solomon were more likely to have come from the despised Omride dynasty of Samaria. The evidence derives from gate construction techniques. Even business makes a contribution - it was Judah's rise in commerce that improved its level of literacy. A more learned population was more susceptible to the wave of propaganda insisting Israel and Judah should be reunited. This book focuses on investigating on what archeological findings and data tell us about the Hebrew Bible and its contents. The authors do a pretty thorough job and look at the issue from many angles. - The Biblical descriptions of King David's and Solomon's empire, conquests, and palaces are all exagerations. Overall, I would say that this bok is worth reading, although it does have its boring parts. I didn't find this book to be educational as it was lacking in true archeological definitions, actual digs, and certainly lacking substance in ever observation stated. Title should be, "The Old Testament and some archeology"
I am going to seminary and am reading this book as required for and archeology class. The book works from a chronological basis. Very readable, conservative, and generaly reliable information. Not much archeology! Mostly relates the Biblical narritive. Very weak on Jerico, Babylon, and Ur. Companion book by McRay is better by far! A Good Read For the Curious. Who would ever think that a textbook could be interesting? This textbook, which I studied during my Archaeology class taught by the author, focuses on the illumination of scriptures. Dr. Hoerth provides an excellent combination of archaeological interpretation and biblical interpretation suitable for anyone who wants to know more about the Bible. Students and curious readers alike will find an introduction to the techniques and methods of archaeology. The book points to a plethora of artifacts and digs that tell the cultural framework in which the biblical accounts take place. The text also deals with many liberal ideas in Archaeology, like the idea that Joseph did not live in Egypt or the idea that most of the Old Testament was written by the exiled nation of Israel, in a way that should leave people making such claims scratching their heads. Every main story in the Bible, from Abraham to the Birth of Christ (and even a chapter about the time before Abraham), are covered. The more interested reader, or any disinterested reader in need of sleep, will be satisfied with the abundant footnotes full of references and other notes from Dr. Hoerth himself. The only thing I did not like about this textbook was the lack of colorful pictures. . . so grump. But who ever said a book needs those to be good? Three cheers to Dr. Hoerth for writing such a fine text! Oh! So THAT'S what that means! I admit I'm a little biased towards this book - my father wrote it. But, this means I also know how much careful research and thought went into it, as well as the years of field-testing the lessons on unwary college freshmen. If what you want is a layperson's guide to the Old Testament from a conservative evangelical standpoint which takes the Bible as literally true and authoritative, this is your book. The jargon is kept to a minimum and there are many helpful illustrations and suggestions for further reading if a particular topic draws you in. It is meant to combine with John McRay's "Archaeology & the New Testament." Dad's made a life's work of demonstrating to students of all levels of expertise that the Old Testament is not frightening or inaccessible, it's full of stories about people just like you and me. This book fills a niche I don't think anything else does, and provides serious archaeology to counteract the incredible amounts of nonsense one sees about archaeology on TV. Wondering how David & Goliath REALLY stacked up as opponents? Buy the book! An exquisitely illustrated history and exploration of Angkor, the world's most astonishing architectural treasure. Built between the ninth and the thirteenth centuries by a succession of twelve Khmer kings, Angkor spreads over 120 square miles in Southeast Asia and includes scores of major architectural sites. In 802, when construction began on Angkor Wat, with wealth from rice and trade, Jayavarman ll took the throne, initiating an unparalleled period of artistic and architectural achievement, exemplified in the fabled ruins of Angkor, center of the ancient empire. Among the amazing pyramid and mandala shaped shrines preserved in the jungles of Cambodia, is Angkor Wat, the world's largest temple, an extraordinarily complex structure filled with iconographic detail and religious symbolism. Perhaps because of the decline of agricultural productivity and the expansion of the Thai Empire, Angkor was abandoned in the fifteenth century and left to the ravages of time. Today, many countries continue efforts to conserve and restore the temples, which have been inaccessible until recently. Now that the civil war has ended, Angkor is being reborn and is an increasingly popular tourist destination. Undaunted by the difficulties of traveling through Cambodia and eastern Thailand, Jon Ortner, accompanied by his wife Martha, has photographed fifty of the most important and unique monuments of the Khmer Empire. His images include spectacular views from the rooftops of its temples, glorious landscapes, and details of inscriptions and art that few have ever seen. The text by a team of distinguished experts provides historical, architectural, and religious analyses of Angkor and the Khmer civilization. The Appendix offers a glossary, a chronology of construction, and a chart of the kings and their accomplishments. Black-and-white floor plans and historic watercolors complete this breathtaking tribute. Through his magical photographic eye, Jon Ortner has created a wondrous collection of striking images and scholarly prose. His perfectly lit photographs and well-documented historic descriptions allow one to easily understand this complicated ancient subject. Each temple is clearly organized into relevant sections from the central Angkor area to the rare and never-before-seen temples in the outer lying areas. 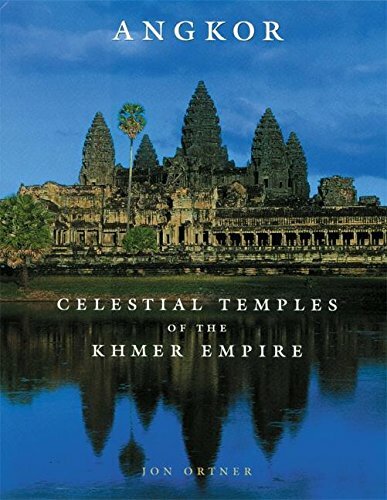 If you have visited Angkor - Ortner's book is the perfect addition to your library. Or, if you have not visited, this book provides the perfect impetus. The magnificent photography, the amazing text and the great printing make this THE book for anyone interested in the amazing history and culture of the Khmer. Ortner's use of light, his incredible attention to detail and the great writing make this a must view and a must read. Even if you never had an interest or knowledge of Angkor, this book will light a fire inside you. I recommend this book wholeheartedly. It will look great in your home and you will not regret this purchase. This is an excellent book I ordered online about when I first came out about a year ago. You will not go wrong with this book. Every pages I leafed through is highly insprirational. The photographs are very breath-takingly welldone. I like the chapter on the Preah Vihear(PV) temple. Again, nicely illustrated and photographed on PV. There's also a section on Cambodian temples that are in Thailand and Laos. Athough the book is large--oversize, but worth its weight in gold on your bookself ! Having spent some time recently in Cambodia exploring the Angkor ruins, I looked forward to purchasing this new picture book by celebrated photographer Jon Ortner. I was not disappointed. The photographs literally come alive. The quality of the paper is extremely good; the colour reproduction and sharpness of the pictures are superb. The author chose a broad selection of the ruins to be included in his coffee table size text. All the famous sites are included, as well as a number of the lesser known monuments. The essays written by experts in the field also added a lot of useful and interesting background information. Several maps also aid the reader in locating the ruins. For those who have seen Angkor, this book is almost a must. I am certain the owner will refer to these awesome photographs time and time again to remind himself of the experience of viewing some of the most incredible architecture and art in the history of mankind. See it in person if you can.